After BYU lost to Utah for the seventh time in a row, I needed some Diet Dr. Pepper to drown my sorrows. One of the only places open was Walgreens, and when I ran in to grab a 20 oz. I saw that their makeup was almost all Buy 2 Get 1 Free. While most of my favorite makeup comes from more expensive brands, I'm not above drugstore makeup. I've been in the market for new lipgloss, and I thought this would be a good time to experiment. I actually grabbed a lipstick and a lipgloss, and then I decided to give Soap & Glory's collagen mascara a try. It purports to be a lengthening and volumizing mascara. I don't think it adds a lot of volume, but it defines and lengthens without clumping, which is a win in my book. At $14, I think it performs at its price point. I wore it to the BYU-Wisconsin game, and while the team's performance was ugly, my makeup wasn't. A long day in the sun, plus the emotion and energy that comes with watching a game live, and my makeup held up. So I started thinking about what makes for good Game Day makeup. 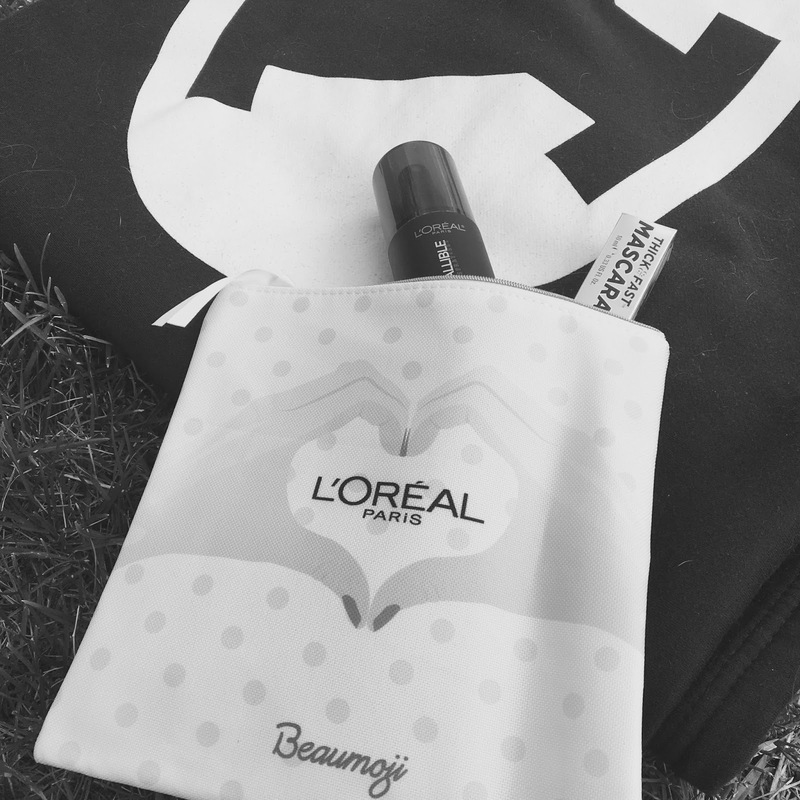 Two of the products that got the job done for me on Saturday were the Soap & Glory mascara I just mentioned and a makeup setting spray from L'Oreal, which my sister gave me years ago. BYU has a bye week, so I'm taking the week off to prepare an awesome giveaway for you. Two of the products will be the mascara and setting spray mentioned in this post, but I'm also arranging for some other awesome items. 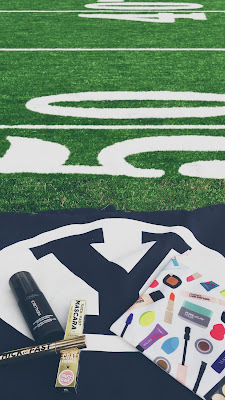 The giveaway will combine my two greatest loves: makeup and BYU. So while there will be something for any makeup lover or any BYU lover, the perfect winner will be someone who, like me, loves both! To give you a leg up on the competition, I've opened a pre-giveaway entry form. Provide your email and you'll get two things: First, you'll receive two entries into the giveaway (everyone else will receive only one entry for each option). Second, you'll get an email when the giveaway goes live so you'll be in the group who gets all the details before I promote the giveaway elsewhere online. What's even better is that by providing your email, you're only signing up for emails regarding this giveaway. You're not subscribing to a mailing list and I won't use the emails for anything else. So join me for the pre-game, and stick around for kickoff!